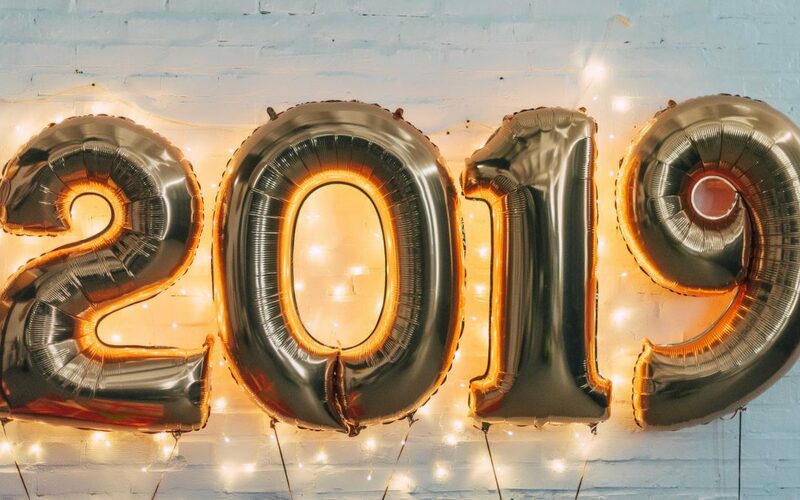 2019 just started and we created this resource to make sure you know everything you need to know about the newest things in the Social Media world this year. This will help you to get ahead of your competition, engage your customers in the most trending and engaging way, and be one of the first movers in your industry. Do you remember when Instagram used to just be a simple photo platform? Nowadays no one pays attention to posts with bad picture quality, but now high-quality photo and video content including engaging Instagram stories are the top trending way to engage your audience. So make sure to take them into account when planning your Digital Marketing strategy and test them if they work for your business too. 1. Videos are all the rage! Have you ever noticed how much more enticing it is to watch a one-minute video than reading a page-long informational sheet on the same topic? This is exactly what has been happening to just about any Social Media user for the past few months – and it won’t stop. 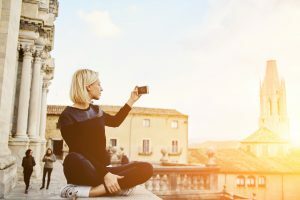 In 2019, there is likely to be an even stronger shift towards video content than ever before, for both your personal account as well as any marketer. When communicating, brands should move to a visual-first mentality instead of hanging onto the good, old “text-first” approach. Generally speaking, moving images (aka videos) or animated posts engage the eye more intensively for a longer time, thus grabbing a lot of attention because of their ever-changing character. Furthermore, video content seems to be easier to digest as consumers can simply let themselves get washed over by the video instead of actually having to do something. Going along the same lines as the video trend but taking it even a bit further, live videos are soon to be seen at any corner in the Social Media world. In fact, the number of live broadcasts on Facebook has doubled every year since their introduction in 2016. Marketers haven’t fully discovered the benefits of advertising in live videos just yet, however, in only a few months of time, business will be booming, making them the key opportunity for marketers to look out for in 2019. What is especially enticing about live videos is the interactivity of them. Not only do they pose the possibility for influencers to communicate with their followers, but also help marketers reach their customer base in a very casual, communicative way. Going live also includes the advantage of showing a really natural, down-to-earth side. Customers love viewing the living and breathing people behind their favorite brands. This authenticity results in strengthening the brand-follower relationship, as well as building trust and loyalty. For the longest time, Instagram Stars with millions of followers, Youtube Billionaires, and Twitter Influencers have been reigning the web, but this year there might be a major change to that. Because big influencers get an incredible amount of attention by marketers as well, their prices have risen tremendously, making a collaboration with them almost not worth it for small and medium-sized brands. Fortunately, at the same time, thousands of people are getting seduced by the glitz and glamour of the life of successful influencers and try their luck. This, in turn, results in an uncountable amount of so-called micro influencers (influencers with a following of fewer than 25.000 people). They exist in practically every marketing niche and usually define themselves through being really down-to-earth, and as a result, trustworthy, with a much stronger customer base. Another consequence of this is that micro-influencers have a far bigger impact on their audience than well-established ones, which makes them even more interesting for marketers. As of now, micro-influencers haven’t been properly detected by advertisers yet. However, as they bear a huge marketing potential due to their confidence base, their potential is probably soon to be realized, making them the next big hit in Social Media Marketing for 2019! Don’t know how to find them? Ask in our free Facebook group or find even more helpful resources in there. 4. Artificial Intelligence en masse! To some people not quite familiar with the term “Artificial Intelligence” it always seems like this big scary thing, creeping up on them when they expect it the least. However, many of those people would be surprised by how often they are actually confronted with AI on a daily basis. Think about the last customer service interaction you had on Facebook Messenger. It is quite likely that this conversation was powered by an AI bot. Social Media doesn’t know any time limits and the same goes for its users: They have a question, they want an answer, no matter if it’s currently 3 PM in the afternoon or 4 AM at night – being able to reach the brands Facebook page 24/7 has also increased the expectations in the response time. This is where AI driven customer service comes in. For starters, you can use services like ManyChat that make it easy to create a Facebook messenger bot. To provide their customers with any information they need, when they need it, many brands have already started adopting AI-driven communication in 2018. 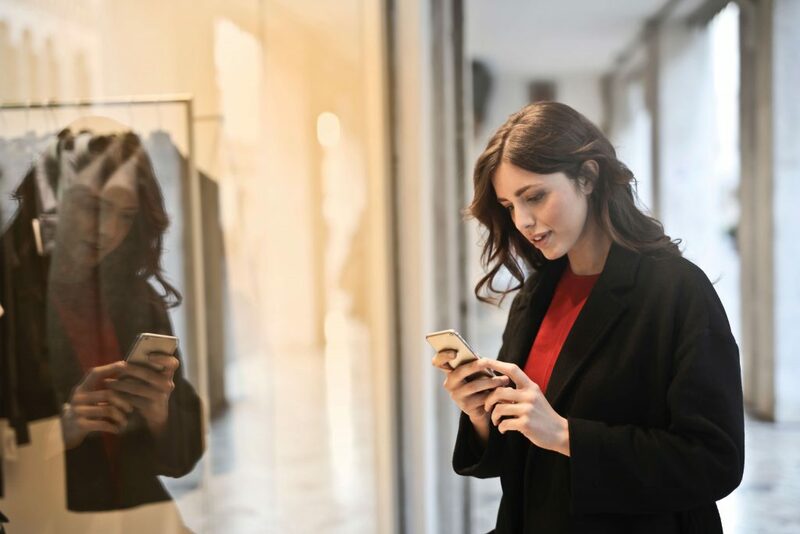 For 2019 the increase of customer service interactions powered by AI bots will increase further and reach about 85% by 2020! Don’t worry, though! Companies are working hard to program bots to act as natural and authentic as possible to create a comfortable customer experience. By now, you’ll probably be sick of hearing it already but still, it has to be said: The popularity of Story content won’t slow down. In fact, it is going to increase even further! A quick definition of Stories for the unknowing (by the way: WHERE HAVE YOU BEEN THE LAST YEAR? ): Instagram Stories is a feature enabling you to share visual content in a vertical format that will disappear within 24 hours. Perhaps, this ephemerality is exactly what’s behind the fame of stories: They allow brands to show a more natural, personal side of their business. Additionally, with Stories, it’s super easy to update the followers, keep them engaged and do a little advertising for yourself. Advertisers have already realized how powerful (especially Instagram) Story ads can be and with the further rise in popularity, we are sure to see many more of them during the year 2019. If you have more than 10.000 Instagram followers you can even add a link to your IG stories for free – otherwise, you have to pay for exposure and clickable links within your Stories – unless you are an eCommerce store. Then you can also tag your products with the “product” sticker, just like you can with regular Instagram shopping posts. Facebook started to test links in Facebook Stories, which can help you to boost your website content or funnel. In 2019 it is going to be even more important to react to every single like, comment, share, or whatever you can think of coming in – and better do so quickly, as the average attention span, and therefore also patience, is continuously shrinking. Customers want answers, and they want them NOW. Of course, being available 24/7 is hardly feasible if you don’t want to make use of AI (see how I tied the loop to point 4?). But still, pretty much any query should be answered, no matter positive or negative. Customers used their valuable, limited time to reach out to you and tell you something, which is why you should also bring the same “respect”, so to say, and answer them as well. This way, they’ll not only feel heard and appreciated, but it will also help you to turn them into loyal, trusted customers. Up until now, we can only conjecture, however, we know for a fact that selling on Social Media is going to be even bigger in 2019 than it was last year. It is quite likely that Facebook, Instagram, and Co. will soon add new, more efficient selling options, maybe even taking it as far as enabling users to pay directly within the Social Media App without having to switch to a browser. This, in turn, will most likely lead to a drastic increase in selling via Social Media channels, as this extremely simplified buying process makes finding, ordering and getting products easier – and customers more approachable – than ever before. As social media evolves it becomes more and more a must-have rather than a nice-to-have marketing strategy if you want to grow a sustainable business while the lines between private and business life start blurring even more. Employees become brand ambassadors, customers interact 24/7 with their favorite brands through their private social media profiles, and real-time communication becomes more and more important. Nevertheless, don’t get overwhelmed and try everything at once. Rather, start with the one strategy that you think will bring the best or quickest result, test and tweak it until it works for you and/or move on to the next thing after you’ve done some qualified testing. We usually say once you’ve reached around 100 people you can say if something is most likely working or not. And luckily automation is the savior of every smaller business that doesn’t have a big team of experts working for them to make sure you have enough time and can make validated decisions on your marketing efforts. We hope that we could help you to identify the best trends of this year to plan your Digital Marketing Strategy. Did you know about any of these shifts? What do you think about the ever-changing trends in Social Media? Make sure to let us know in the commenting section down below! Das freut uns sehr! 🙂 Danke Caroline!